“AEO (Authorized Economic Operator) program is structured within the WCO SAFE Framework of Standards to Secure and Facilitate Global Trade. 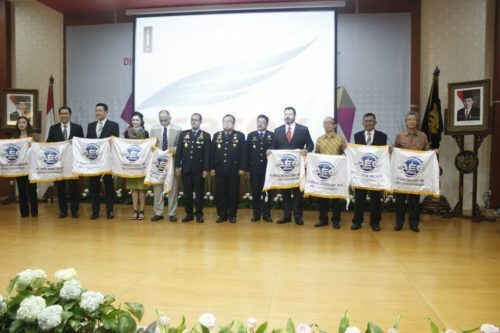 On International Customs Day (26th January 2016), Eratex along with other 22 Indonesian companies from various industries received AEO certificate from Directorate General of Customs and Excise. AEO certification signifies that company is fully compliant with rules and regulations relating to customs and its systems relating to security are in line with Global standards. AEO is the highest facility given by the Directorate General of Customs to the Economic Operators . Currently there are 75 companies in Indonesia, including Eratex which AEO certified”.